$30 sunglasses aren’t hard to find, but most of them are made of cheap-looking plastic, and not what some would consider fashionable. Enter Privé Revaux. 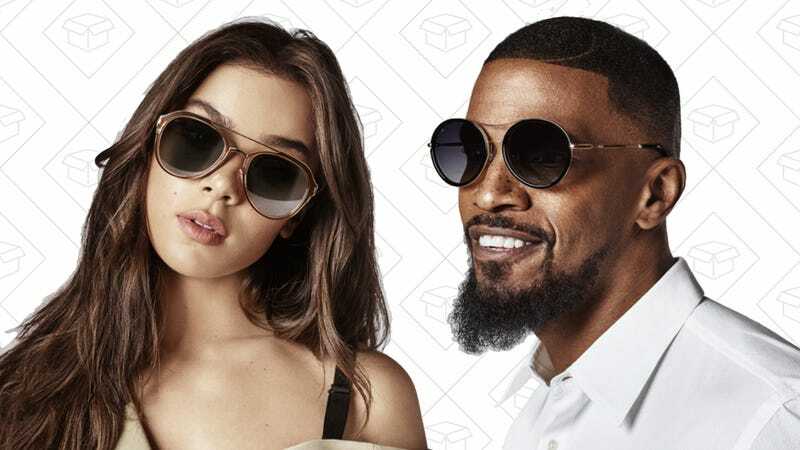 Privé Revaux produces over 100 different frames for just $30 each (sometimes less when there’s a sale), many of which include polarized lenses, a luxury at this price. The company is backed by a few high profile actors who also serve as fashion models, which may endear you to Privé, or may turn you off. But celebrity endorsements aside, these are very solid glasses for the money. Personally, I own The Assassin, and I’ve never received more compliments on a pair of glasses in my life. The lenses are plastic, but polarized and glare-resistant, and the metal frame is light and thin without feeling cheap. They also come with a shockingly good case that can fold up when not in use, and, hilariously, a card to verify the glasses’ authenticity. When I inevitably lose them, I’ll definitely buy another pair. Update 10/31 - Privé just launched their new ICON collection of glasses. The plastic parts are made of acetate now (basically, plastic made from renewable materials, instead of petroleum), the lenses have better polarizing filters, and the metal frames are formed from a new alloy. Plus, they still cost $30, so you’re getting better glasses for the same price. They sent sample pairs to Jillian and I, and we both agreed that they felt sturdier and better built.